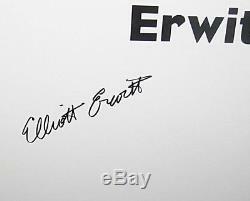 SIGNED by Elliott Erwitt on the title page. 9¼ x 12¼ x 1 inches. Minor imperfections to the dust jacket. 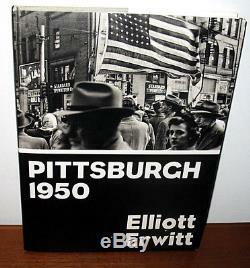 Includes previously unpublished photographs of Pittsburgh by acclaimed photographer Elliott Erwitt taken between 1949 and 1950. These photographs, capturing the humanity and spirit of the architecture and people of the city of Pittsburgh, were thought lost until the negatives were recently located in the Pittsburgh Photographic Library. The item "New SIGNED Elliott Erwitt Pittsburgh 1950 Photographs 1st HC DJ Portraits People" is in sale since Friday, November 24, 2017.